Two weeks ago I wrote an article in Businessweek.com called Wall Street Run Amok: Harvard’s to blame. In it, I suggested that business schools including Harvard have over-taught competition, and under-taught collaboration—a concept more appropriate to our connected times. CNBC saw the article and interviewed me, albeit over-playing the blame-Harvard angle. Then, last week, Harvard Business School’s Deputy Dean of Academic Affairs Karl Kester logged in to the Businessweek.com article and posted a lengthy rebuttal comment both there and on his own site. Rather than further this discussion in our separate forums, I’d like to invite Dean Kester to continue the dialogue here, in this blog’s open comments section, along with others interested in the topic. Clearly the issue strikes a chord with many. Whether you call it sustainable competitive advantage, maximizing shareholder wealth, or simply ‘winning,’ the dominant worldview in business today is that business is all about competition. Ask an MBA to provide an alternate worldview and you’ll get glazed looks. It was not always thus. Only since the seventies have business schools made the adjective in “competitive strategy” so ubiquitous as to be redundant. Before that, ‘strategy’ had a decidedly more customer-focused tone to it—for example, read Peter Drucker. (I won’t rehash the argument, it’s in the businessweek.com article). That belief system has become so entrenched that nearly any other aspect of business has become subordinated to “competitive success.” Think of any subject you like–human resources, values-based management, compensation management, employee engagement, customer satisfaction—and you will find that corporations routinely attempt to justify even the most humanitarian programs in terms of their ability to add to the bottom line. Their bottom line, that is–not that of the network, or supply chain, or their partners. “Good ethics is good business,” they say, as if ethics demanded a currency-based justification. “Happy people lead to higher profits,” “being socially responsible is associated with higher returns on investment,” and so on. Why must every social virtue be justified solely in terms of its ability to add to the bottom line? Why do we in business not see this Kool Aid we have been drinking for the self-obsessing small-think it is? This is precisely the trap into which I believe Dean Kester falls with his comments, and why this conversation needs more airing. "Today, more than ever, business is a competitive endeavor. At the same time, management is a more collaborative endeavor. At Harvard Business School we embrace both of these truths in preparing our students to become successful leaders in business and social enterprise." This approach–that business is about competition and management is about collaboration–is precisely the default idea in business today. It suggests that the purpose of trust and collaboration is to help Our Team to beat Their Team; that collaboration is but a tactic in service to competitive strategy; and that collaboration should somehow be subordinated to a superordinate goal–the success of the competitor. This is vintage Business School (not just Harvard), Jack Welch, and Corporate America ideology. It is an idea, I want to suggest, whose time has passed. Deputy Dean Kester’s above response is a perfect example of the current thinking, and in turn suggests how deeply embedded that way of thinking is. Dean Kester is hardly alone in this viewpoint. But neither am I alone in noticing that over-dosing on the ideology of competition is starting to cause serious economic harm. Here’s where I see the new view heading. Yesterday’s world—the competition-centric worldview—explicitly sees customers and suppliers as competitors, along with direct competitors. In today’s flat, connected world, our first instinctive look at the world should not be based on the threats posed by our customers, but by the enormous opportunities available to us each if we can operate together. 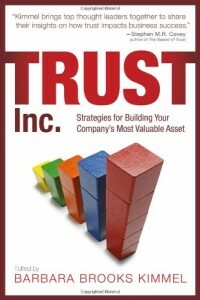 In a connected, transaction-cost laden world, it is simply more economic to trust than to compete. (See Philip Evans on a convincing presentation of the US vs. the Japanese auto industry and the power of collaboration). What’s the alternative, you ask? Simple. Stop thinking about ‘winning,’ with its zero-sum implications and paranoid overtones. Instead, start thinking about succeeding, something that is best achieved in concert with others, like our customers and suppliers. We need to think more about commerce, less about competition. The critical nexus is between sellers and buyers, not sellers and their competitors. Trust. Collaboration. Success. Cooperation. Boundarylessness beyond the corporate walls. Our customers are not our enemies, for heaven’s sake–they are our customers! I am far from the first to make this point: see Is It Time to Retrain B-Schools? Nor is this my first time: see The Horizontal Imperative from February 2007, and Collaboration is the New Competition from March 2008. We can’t any longer let collaboration be the handmaiden of competitive advantage—in the age of networking /globalization / outsourcing it should be a goal in itself. If collaboration in your company isn’t strategic, you’re not doing it right. It is the new Key Success Factor. The business schools are fully capable of recovering the intellectual high ground in this area. After all, several faculty at Harvard—Heskett, Schlesinger, Sasser—along with Frederick Reichheld at Bain—are responsible for superb, highly customer-focused, original work on customer loyalty. But the b-schools are not, as yet, institutionally leading the charge nowadays. For now, leadership is coming from the newly emerging world of blogs and social networking—for example, from people like Chris Brogan and Julien Smith, authors of Trust Agents. (Other key thought leaders in this area include Robert Scoble, Philip Evans of BCG, Dov Seidman of LRN, and the young-at-heart Tom Peters). These new leaders are not just talking about social media and networks–they’re living them and driving them in real businesses. And they are vastly more collaborative than competitive. Let’s keep this dialogue going. Thanks to Dean Kester for stating his case. Now let’s talk about where we go from here. 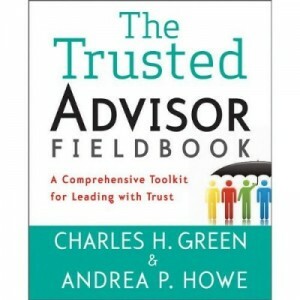 On that note, if you’re interested in continuing the conversation about trust and collaboration with Chris Brogan and Julien Smith, as well as myself and David Maister (co-author, with Rob Galford) of The Trusted Advisor, come join all four of us at the Trust Summit to be held in New York this Friday morning (auspiciously, at the Harvard Club) at 7:30AM. I’d love, in particular, for Dean Kester to join us, and in the interests of furthering the conversation the already nominal ticket charge is waived for him. Click here for more information about the event and about Brogan, Smith, Maister and myself. Click here to buy tickets for the Trust Summit event. And bring your best collaboration skills—it’s not a tactic, it’s the whole point. How to Write a Great Client Newsletter: Object Example Do You Trust Anonymous?